Gardens, paving and landscaping remain in tact and our clients save both time and money. Pipework that is relined is a durable, long-term and reliable solution to pipes that might be cracked, needing localised repairs or are leaking. Once done, it can extend the life of the pipes by up to 30 years. We advise our clients if there are any greater works that need to done right at the start. Any costs or estimates are based on the most effective ways to solve the problem for the long term. After we high pressure jet and CCTV the drains we could find that a blockage might be because a pipe has deteriorated to the point where it may need a replacement. 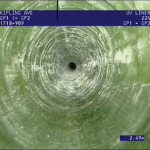 Our team uses either a digging method to access pipes or a trenchless system where the storm water and sewer pipes can be repaired from within each damaged pipe. 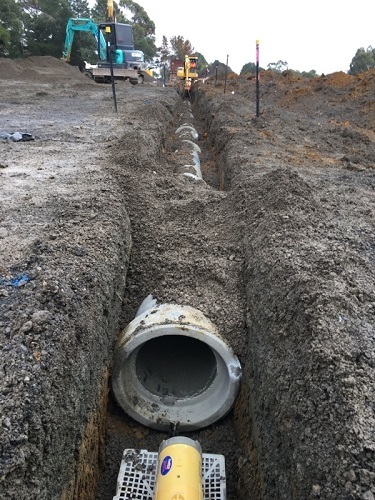 Using only the latest materials that are to industry code, Leading Plumbing Solutions provide a comprehensive new pipeline service for both stormwater and sewage systems. We can extend, redirect and relay materials with our expert team. We also install manholes and access points in the safest positions. Leading Plumbing Solutions offer a complete service from start to finish. Our installations of sewer and stormwater pipelines include supply and install and repairs to existing infrastructure. We provide end-to-end solutions on complex projects for drainage maintenance. With over 20 years of collective plumbing experience in the civil sector we have strong ongoing relationships with Yarra Valley Water & South East Water. Our team are renowned for being focused, a great team to have onsite and get on with the business of getting the job done. 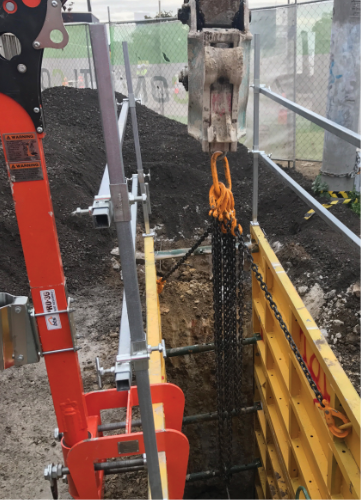 Our experience in civil sewer and stormwater plumbing means that we manage the job end-to-end so our clients don’t have to organise any additional trades on-site. 13 Tereddan Drive, Kilsyth South VIC 3137.